This course has been especially designed for clients who have already completed a standard hypnobirth course and have found out that they need a cesarean section for the safe delivery of their baby. This course provides you with some additional resources and training so that you can build on the tools and knowledge you already have. This also gives you the opportunity to do a bit more research into birthing preferences for a caesarean birth… and let go of any fears that may have come up with this change of circumstances. Module: Introduction. How to use your new tracks and utilize the tools and preparation you have already acquired through prior training for a very positive cesarean birth. We do also have a full ‘Positive Cesarean Birth Course' available for parents who have not previously attended a hypnobirth course and wish to acquire the knowledge, tools, support, mindset and a method of preparation for a 'positive' cesarean birth. Our power is actually in the present… not the past. So this course is about enjoying the miracle that we are part of, the present… and preparing well for the future. 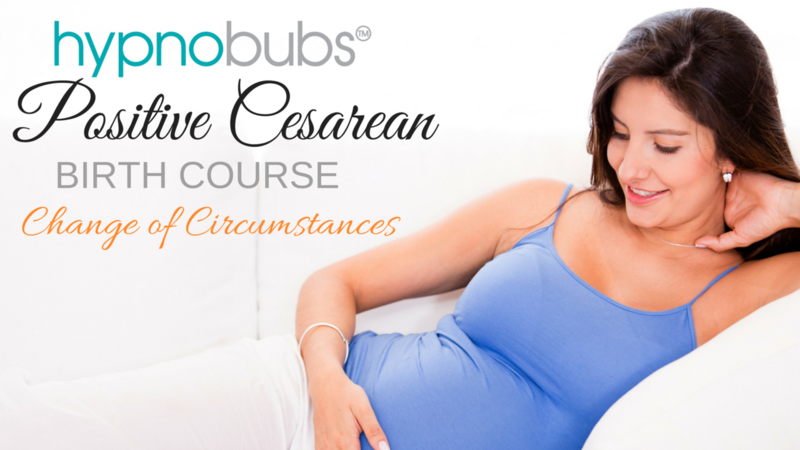 This adapted course provides you with some additional resources and training so that you can build on the knowledge, tools, support and a positive mindset that you already have in preparation for a calm and positive cesarean birth. Contrary to what some people believe; you do have options, and your choices can have a huge effect on your state of mind as you birth, the atmosphere of the room, mother’s comfort and your baby’s introduction to the world. Birth can, and should be an experience that you will always want to remember!